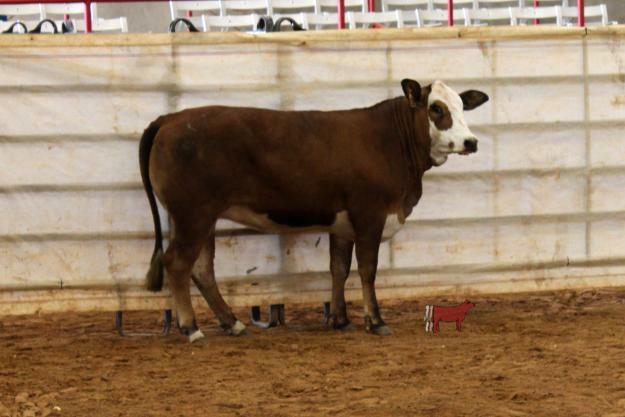 Pine Ridge Ranch is offering two open, homozygous polled, yearling heifers. Both are red haired, black hided and blaze faced. These heifers were produced by embryo transfer and are full sisters. Their Dam is a top homozygous polled Donor cow, PRR Connie 21S. 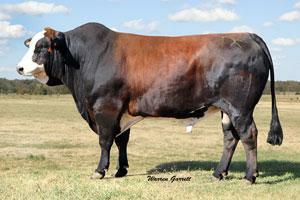 Their Sire, PRR Ammo Power 977U is a leading herd sire and also homozygous polled. Both dam and sire have the genetics to produce tender, choice beef. 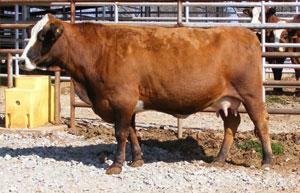 The heifers are ready to breed and both have the qualities to become Donor cows in your herd. For more information call 214-850-6308. Consigned by Pine Ridge Ranch, www.simbrah.com.